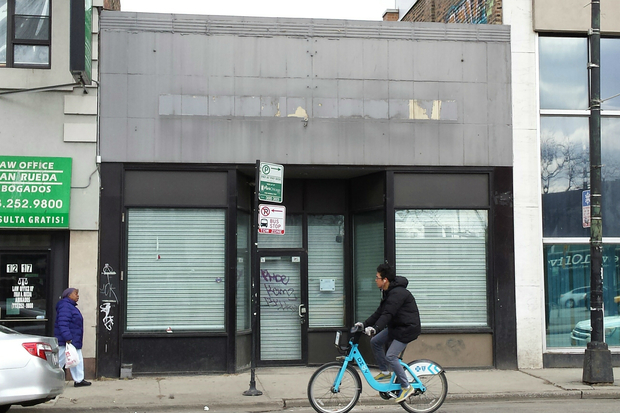 WICKER PARK — Wicker Park, you're getting a Burger King. A franchisee with the fast-food giant announced plans Thursday to open a Burger King outpost in a small storefront at 1215 N. Milwaukee Ave. sandwiched between a Food Mart and a Fifth Third Bank. The site used to house a Cricket Wireless store. Franchisee Faisal Poonja said that he eventually hopes to keep the restaurant open 24 hours a day, but will operate from 6 a.m. to 2 a.m. daily for the first few months. He aims to open the restaurant by May 15. Poonja, who also owns a Burger King in the Metra South Shore station concourse at 151 E. Randolph St., told DNAinfo Chicago that he is "excited to bring Burger King back to the community." Poonja's cousin owned the last Burger King to operate in the Wicker Park neighborhood at 1484 N. Milwaukee Ave., the current location of a Native Foods Cafe. That franchise shuttered several years ago, Poonja said. The restaurant will hire a staff of 20 to 30 people, he said. "I am surprised a Burger King would come here," said John Saenz, 19, who was waiting for a bus in the Polish Triangle across the street from the future fast-food site Thursday. "Maybe it will bring more competition to the Wendy's" he added, referring to a Wendy's around corner at 1623 W. Division St.
"It will probably be good for all the kids and high schoolers who commute, but I can't see too many adults going there," said Saenz.